...find at the Notre Dame Bookstore was had. After making the perfunctory purchases as one is apt to do on a football weekend, something unexpected was spied on the way out... wine bottles! 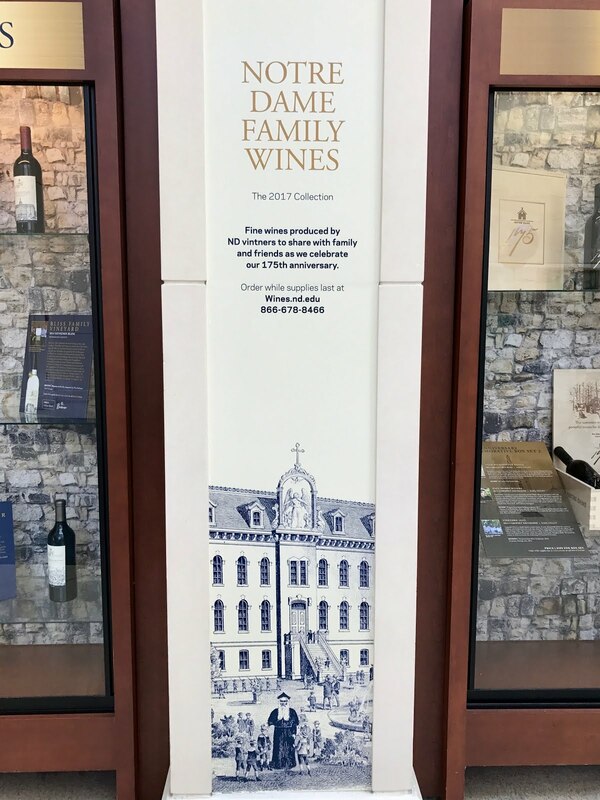 Recently, the University released of collection of wines from nine wineries owned by alumni to celebrate the 175th anniversary of the University's founding. But what makes this collection even more unique and rare is that Notre Dame's oldest and most storied hall, St. Edward's, is on one of the labels! Well, on second thought, how could it not be? On this unique discovery, Fr. 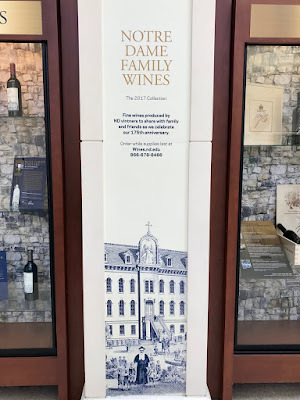 Ralph said, "Since a young child, I have been told that you can't judge a book by its cover, but when it comes to wine, I think its label tells you everything you need to know!" 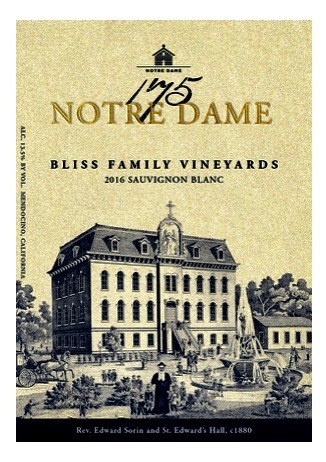 For more information about these wines, click HERE. A label that speaks for itself!